In the span of just a few years, Horace Silver went from playing the role of a sideman for saxophonist Stan Getz to joining forces with Art Blakey to form the Jazz Messengers. 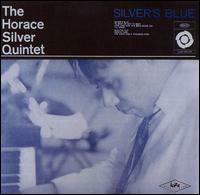 Nevertheless, the story behind Horace Silver’s relationship with both the group and Columbia Records is bit convoluted. Although the Jazz Messengers shifted from Blue Note to Columbia for a brief two-album stint, Silver left the ensemble prior to the recording of Hard Bop. As a result, he owed Columbia an album, even though the reason for his departure was to begin his solo career with Blue Note. As a result, he convened a pair of sessions to fulfill his contract. In essence, he took the Jazz Messengers with him, though to be fair, he was instrumental in bringing this rendition of the collective together in the first place.